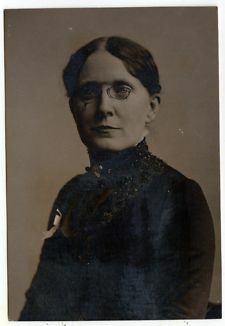 While volunteering at the Frances Willard archives this past Saturday (natch), I found myself pausing MULTIPLE TIMES in the middle of my research on a Kalamazoo WCTU leader because I was irresistibly compelled to stop and have brief, intense discussions with the head archivist about Frances Willard minutiae. "What years was she in Europe?...ohh, do you remember the ring incident?...That was in Berlin? Well, that makes sense." When we finally realized we needed to maybe get actual work done, the archivist (Janet) explained the fascination with Willard by pointing out the human need to briefly inhabit other people's lives. I'm calling it a need because it's so widespread. We satisfy it through movies, television, BOOKS, theatre, video games, and puppet shows. And sometimes through reading a ridiculous amount about a woman who was, dare I say, one of the greatest lady figures of the 19th century yes I do dare say. The history of humans on this planet shows us that we time and time again try to transcend limitations. "Oh, the moon? You think we can't stomp all over that with our giant moonboots? Well THINK AGAIN." "That sounds impossible, so I guess give up thinking about it" is completely foreign to humanity. There are isolated cases of people being dicks and saying it, but for the overall MASS of humanity? No, we keep working at the impossible until we do it. You get one fully realized experience in life: your own. And that's what you're stuck with. EXCEPT FOR STORIES. Real stories, fake stories, they all let you transcend your own experience and live in someone else's head. Thoughts you would never have, you get to have and then expand upon because of this chance to be in someone else's head. One of the best things about Frances Willard is she left journals that start when she was 15, and end at age 57. It's a thorough immersion in someone else's life (she died at 58). There has to be a reason humans respond so strongly to narrative. And I refuse to put it down to something as stupidly reductive as escapism. People who dismiss fiction or history in favor of cold, hard science (yeah, I said it) ignore the need to have as much experience in life as possible, or to understand some of the other 7 billion people on this planet a little better before you die. You are not "wasting your life" by learning about others. You're growing your own experience. Slate's 'Against YA': Maybe Hate It Less?